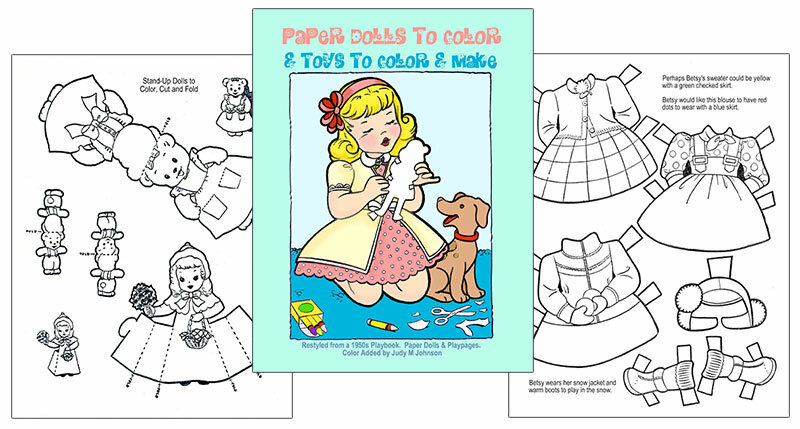 Color a wardrobe of cute clothes for sweet Betsy, make stand-up dolls of a darling doll and bear, color and assemble a puppy gift card and envelope, and make a little paper chair and sled. 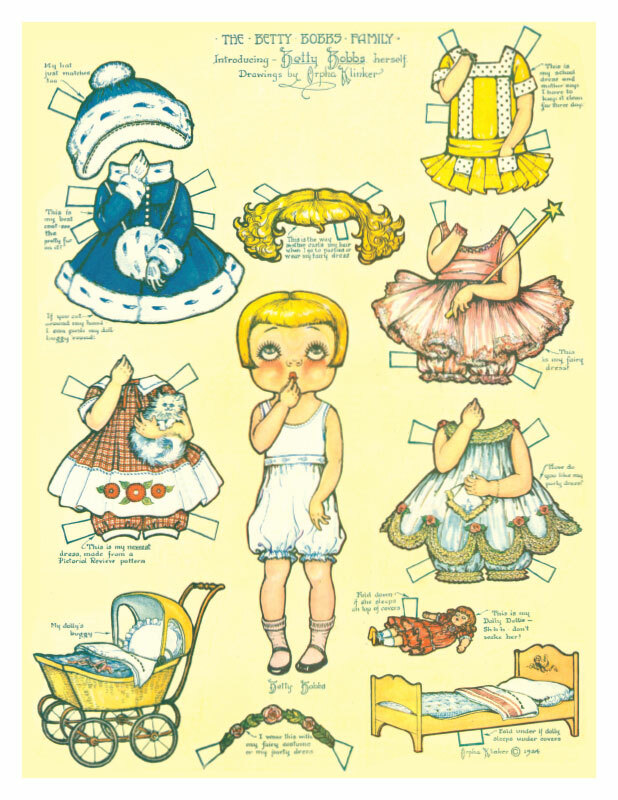 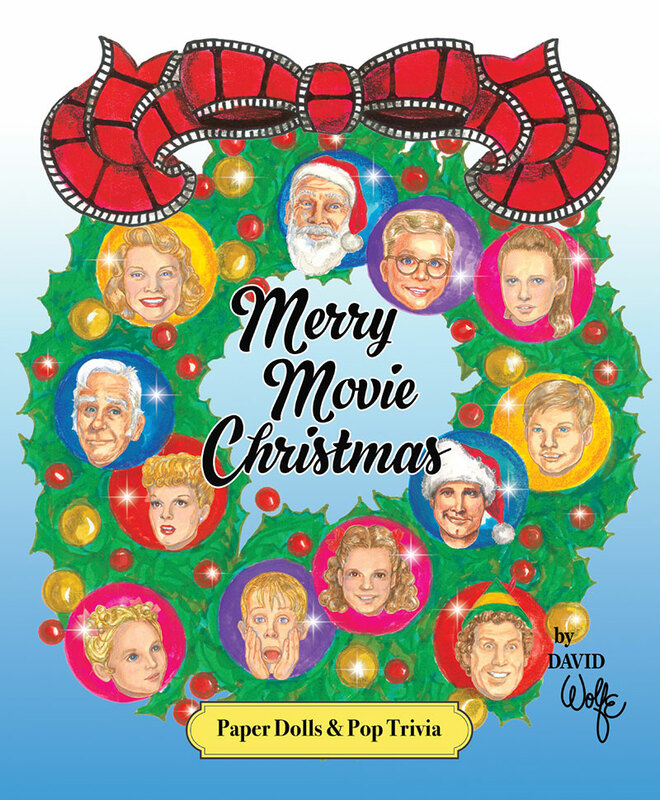 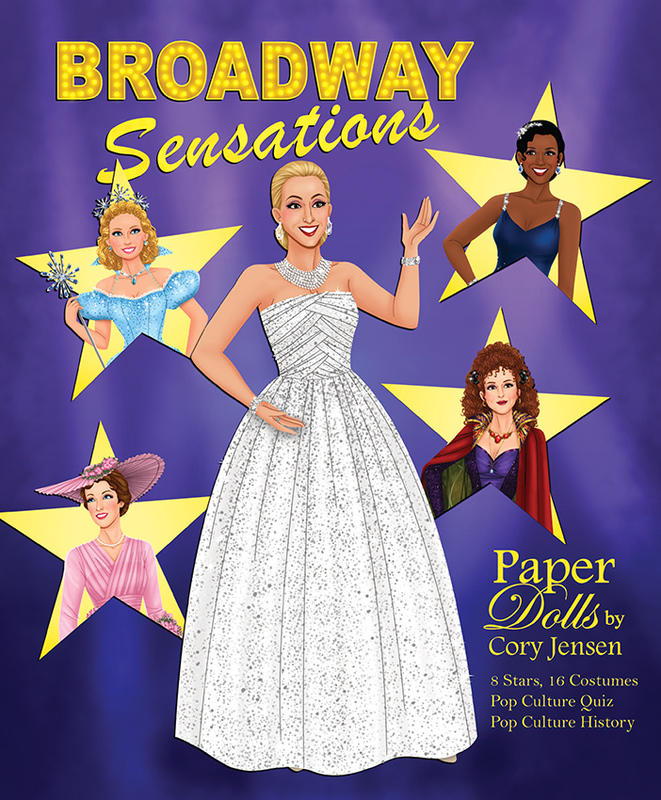 Includes full color paper dolls of twins to cut and dress. 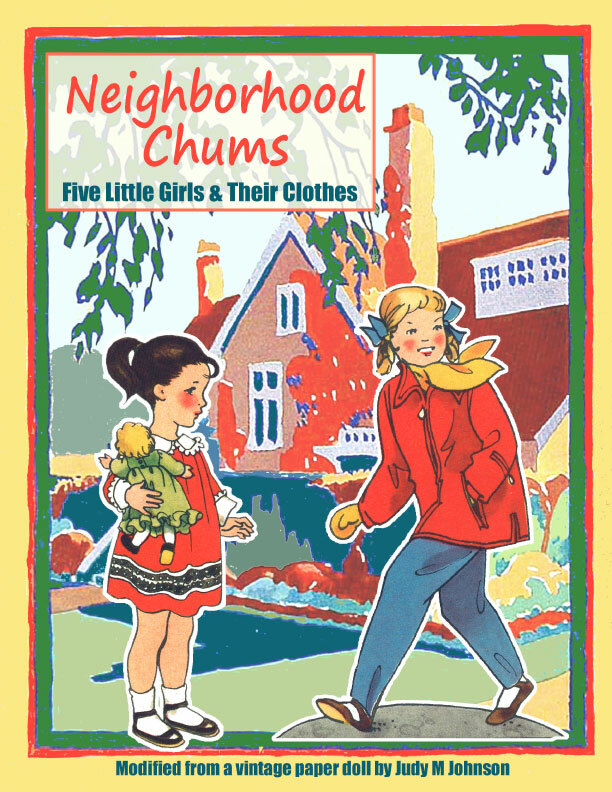 From a 1950s playbook, edited by Judy M Johnson. 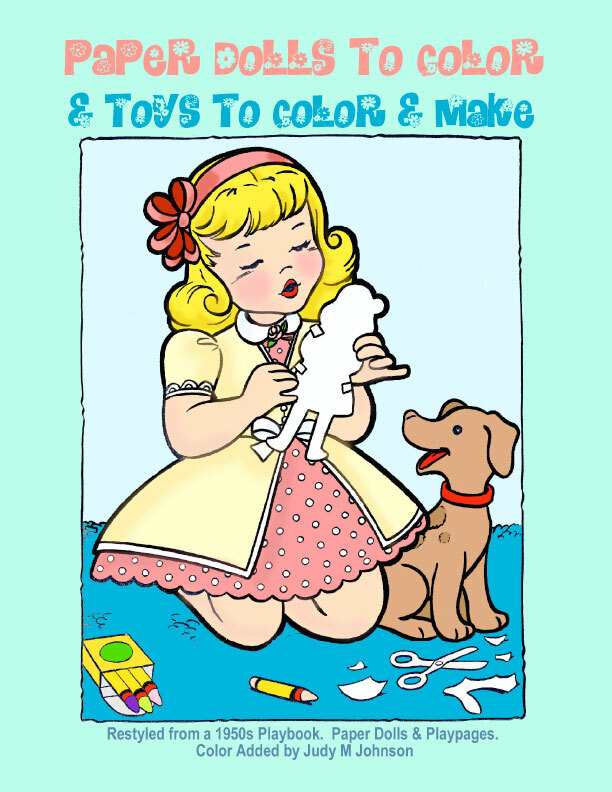 8½ x 11 booklet.